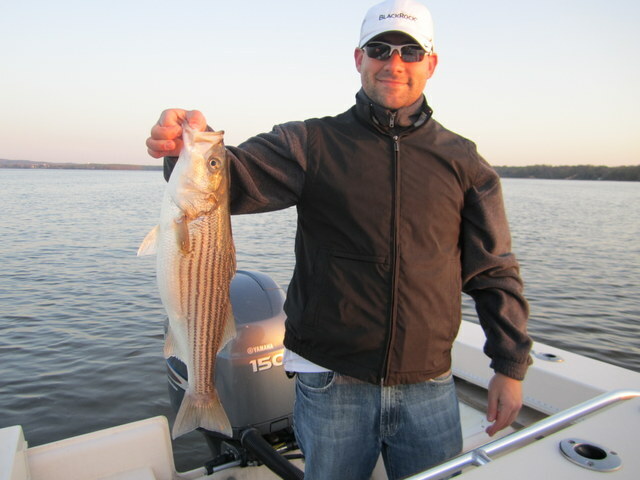 Josenhans FF – Rain, Wind & Rockfish! Great day on the flats! 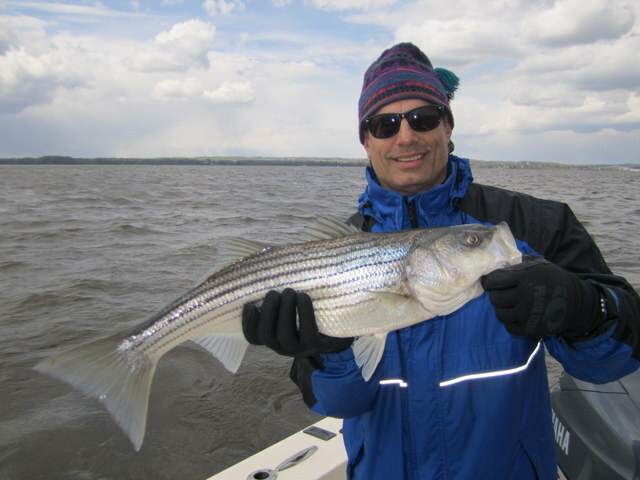 A cold rain, strong north wind gusting to 25 mph and lots of hungry rockfish. 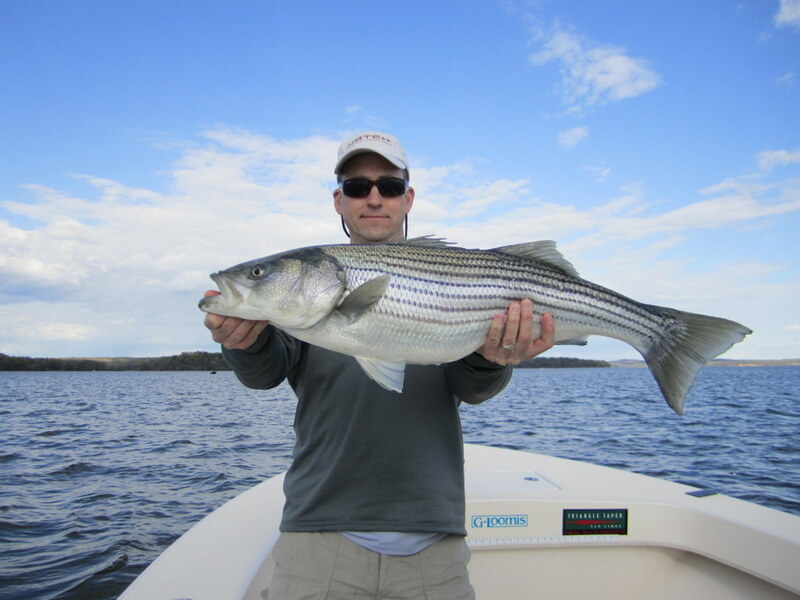 Large Stillwater Smack-it! 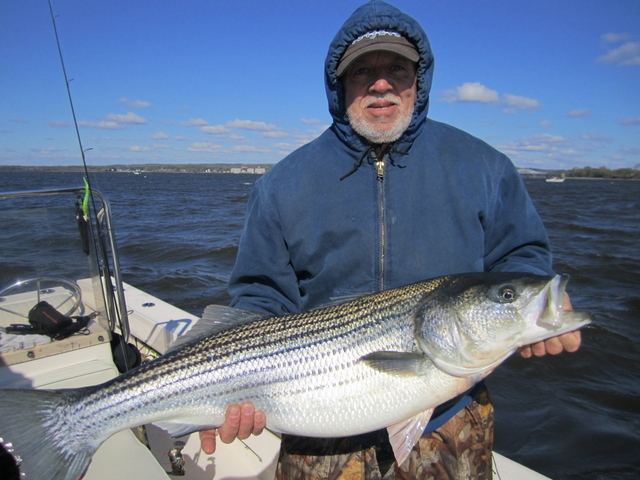 poppers brought savage surface explosions from stripers to 33-inches. 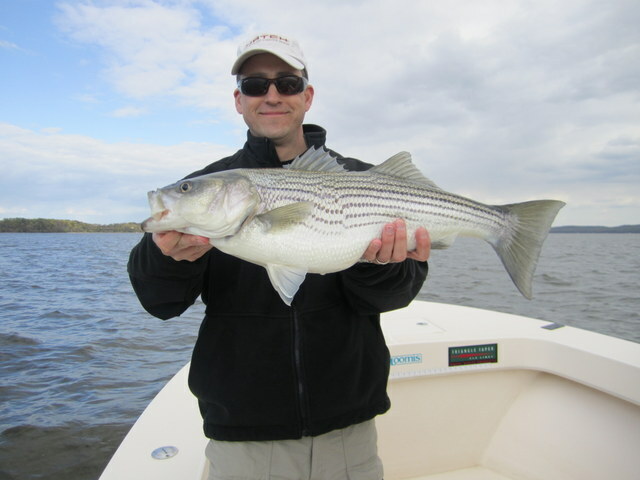 Good grade of fish this morning with many 26″ to 30″ fish. Best part was, the wind and rain kept most other boats in port. Without the crowds, the fish bit the entire trip! Josenhans FF – Susky Flats Walk On!! 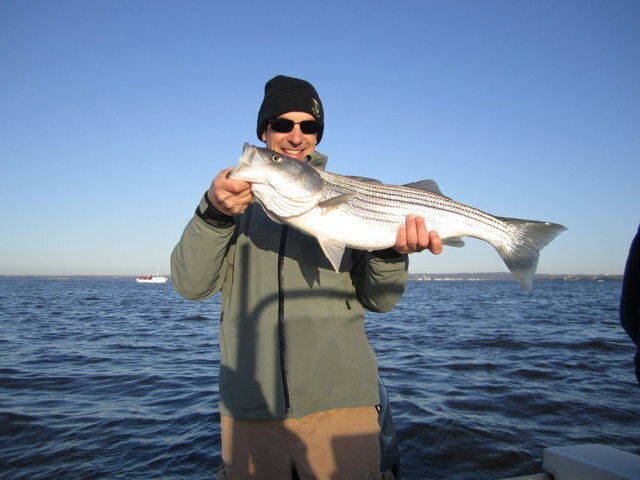 Need two anglers for a morning 4 hour walk on trip this Friday, April 20. Meet at my slip at Havre de Grace City Yacht Basin, Tydings Park at 6:00 am. Cost $115 each. Call for details 443-783-3271. 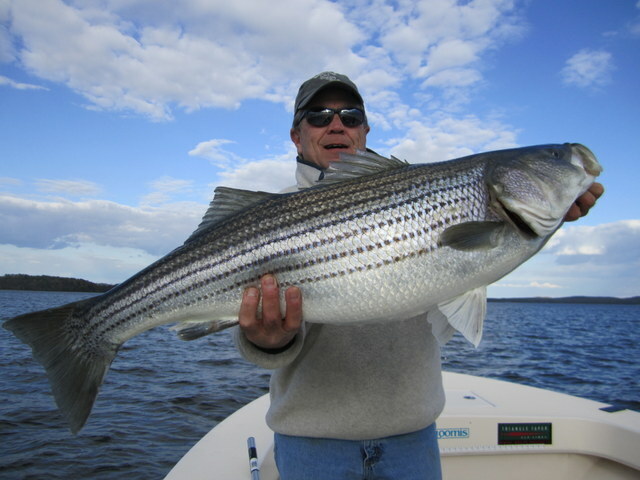 Josenhans FF ~ Big Fish at the Flats!! 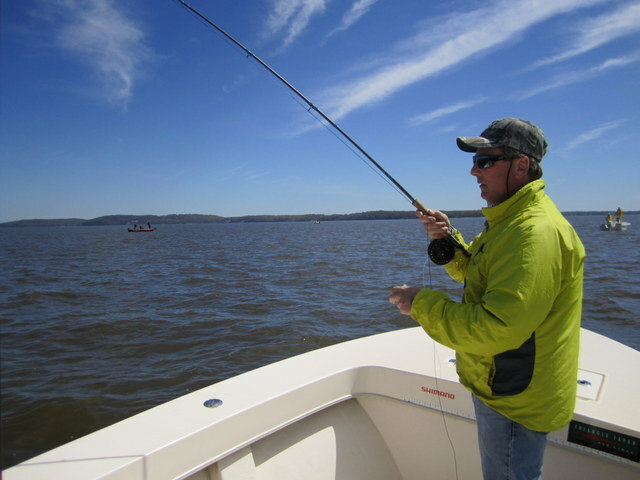 Here is a quick look at my first full week fishing the Susquehanna Flats. 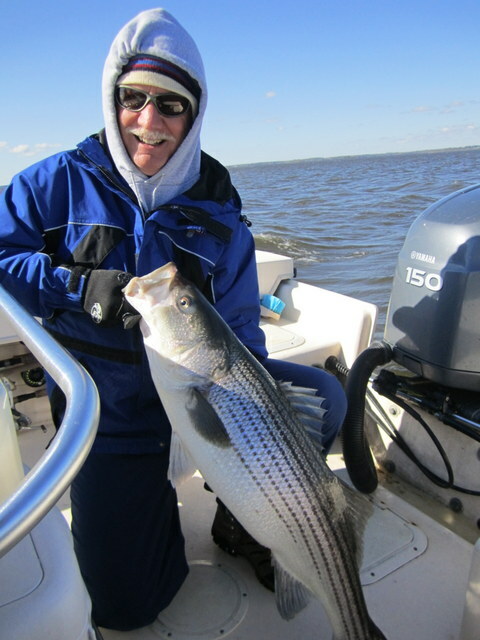 Despite the relentless westerly wind – which most days blew at a steady 20-25 mph – we managed to catch a good number of rockfish, along with some reel drag-burners! 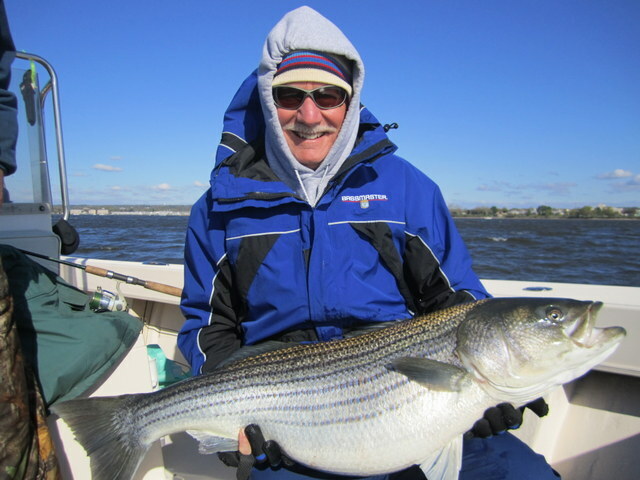 From Tuesday the 10th to Saturday the 14th, my clients boated 14 stripers of 30-inches or better, with two over 40. The bulk of the big rock measured in the 33″ – 38″ range. 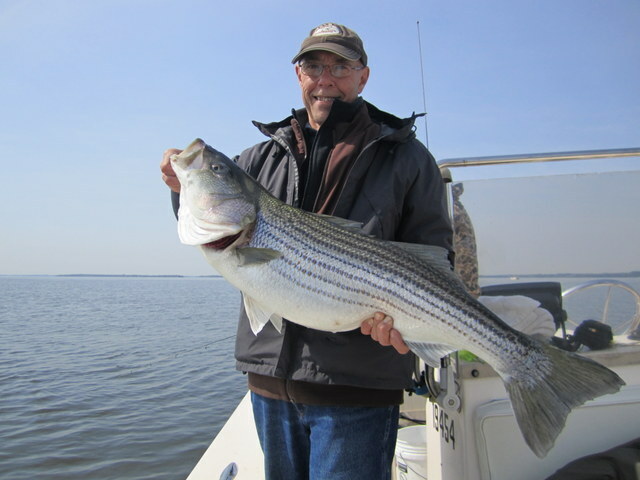 Largest fish of the week was a 41-inch trophy that would most-likely have bottomed the scales to near 35 pounds. 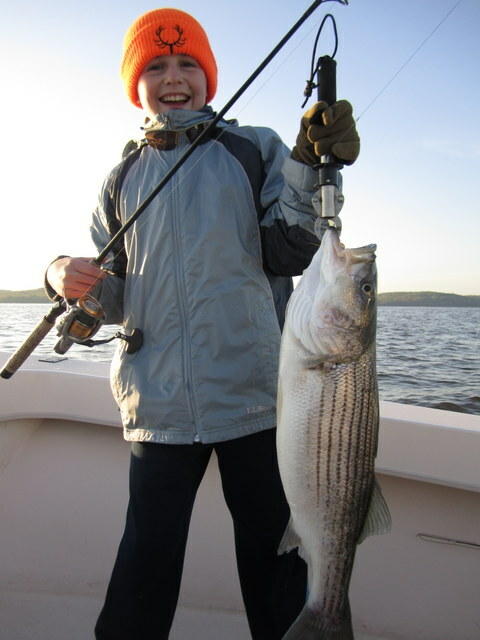 Several days saw as many as 80 school-sized rockfish from 16″ – 28″ brought boat-side. Enjoy some photos of this past weeks action. A quick update from the Susky Flats. Wednesday – Arrival date. By the time I got the boat launched and tied in the slip it was almost 6:00 p.m. Didn’t have anything else to do, so I decided to spend the last two hours of daylight looking around the flats. 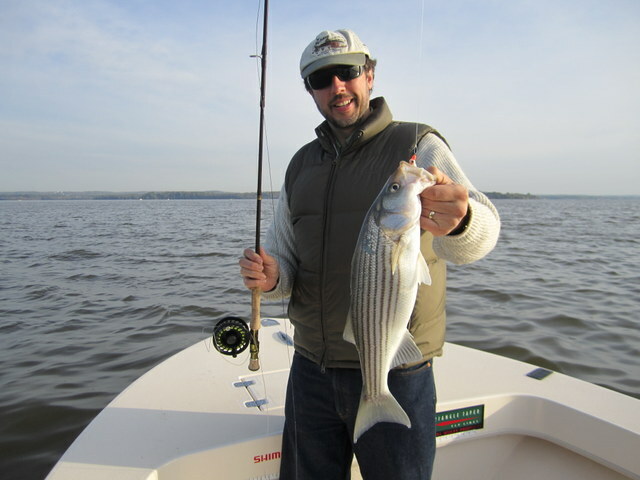 Wound up with some schoolies to 25″ and a surprise 15-pound striper that hit a six-inch Chartreuse BKD. 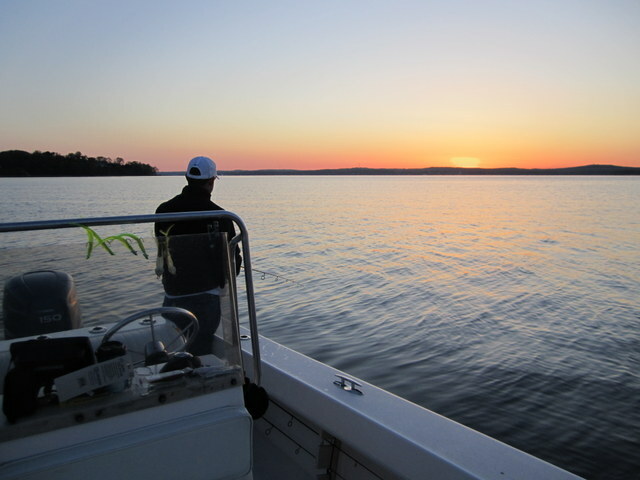 Nice evening, wish I had had some guests on board. 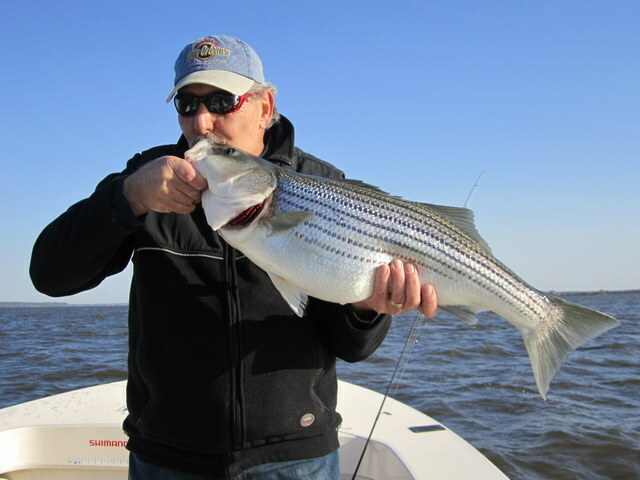 Thursday – Phil Bangert joined me for a day trip and we fished hard to land maybe 35-40 rock to 25-inches. No big fish this trip. 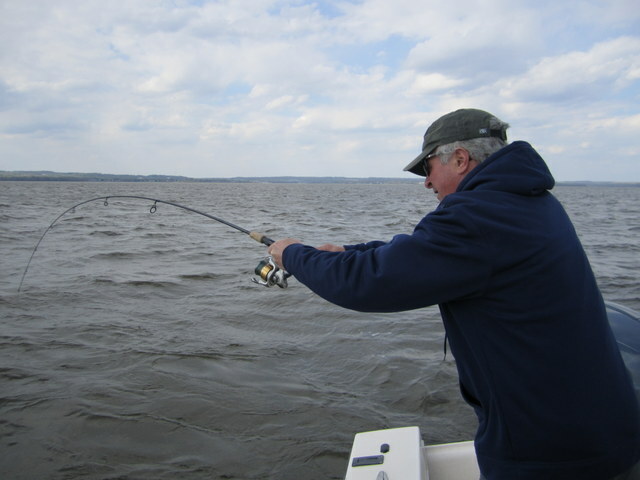 Phil did manage to break out the fly rod and he proceeded to out-fish the spinning outfit! Fun morning. 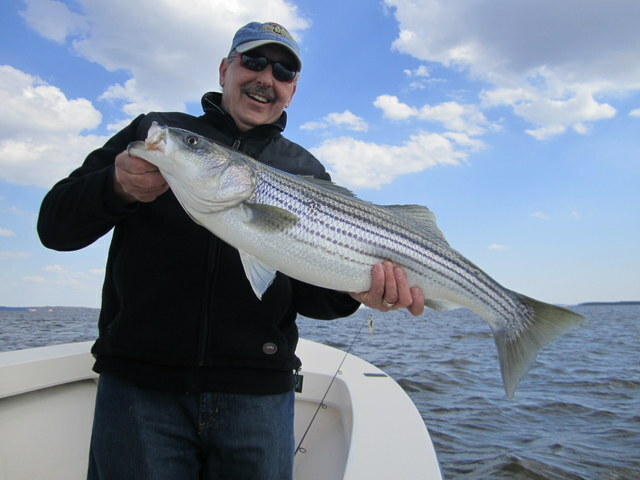 Took my Dad out for the evening trip and we hit a nice stack of fish east of the battery, most falling in the 16″ to 22″ range. Then I hit a drag-screamer that put the Stradic’s teflon washers to the test. 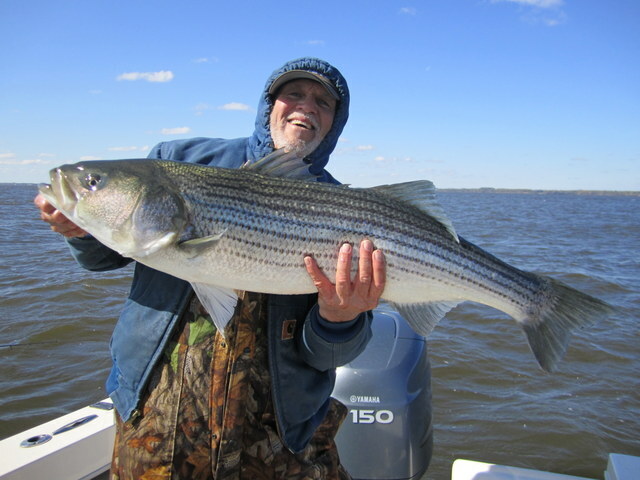 I slowly pumped it back in and quickly measured a 36-inch, 22-pound beauty (sorry, no photo – didn’t want to keep her out of the water after such a game fight). With a healthy swat of the tail she was on her way, no worse for wear. 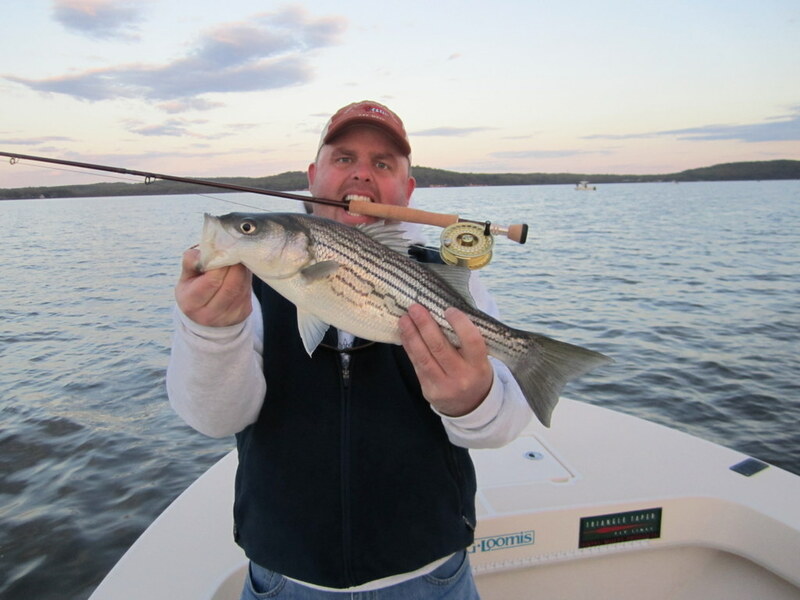 That’s the appeal of the flats; one cast can be a 20-inch schoolie (don’t like the word dink, doesn’t do these fish justice) while the very next retrieve can bring on a drag-burning twenty-pounder. 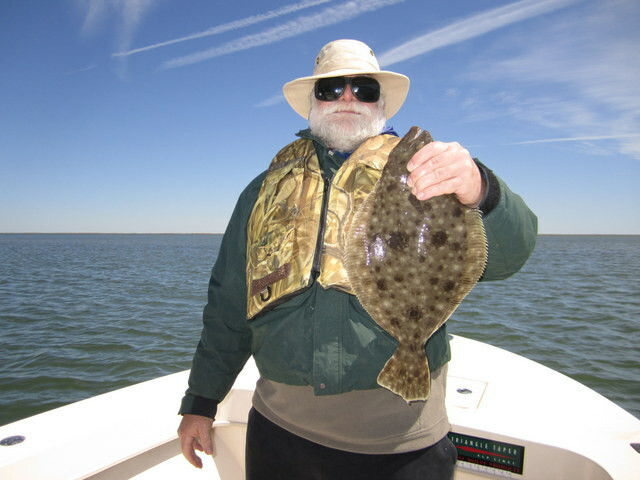 Friday – Bill Enos and his friend (also Bill) were the unfortunate recipients of a strong northerly blow which turned the flats the color of chocolate milk. 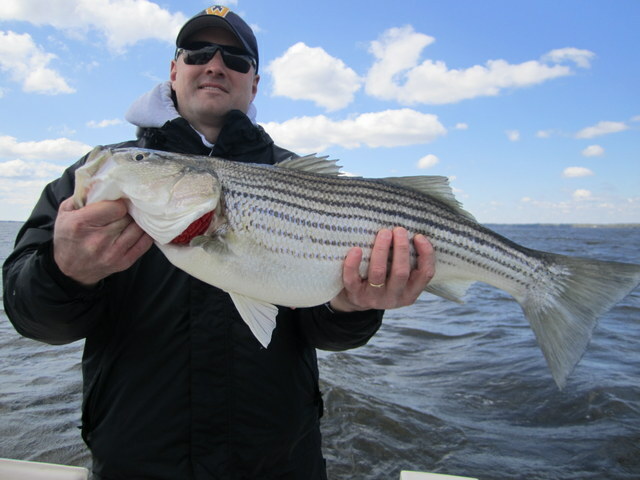 There were two or three really big fish caught but not on my boat. 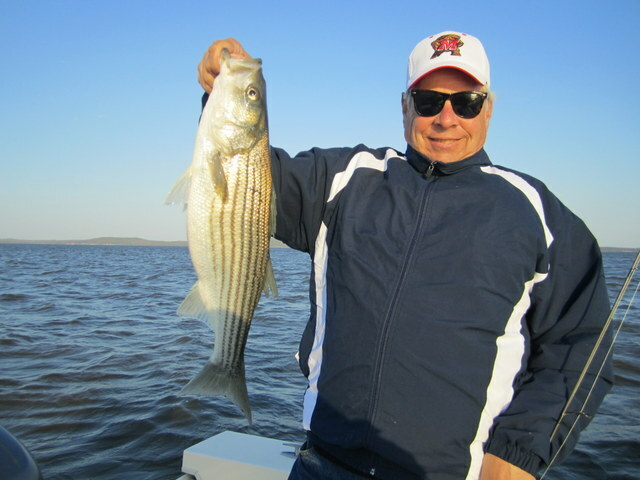 A few schoolies around also, but many skunks to report as well. We elected to call our trip at noon. 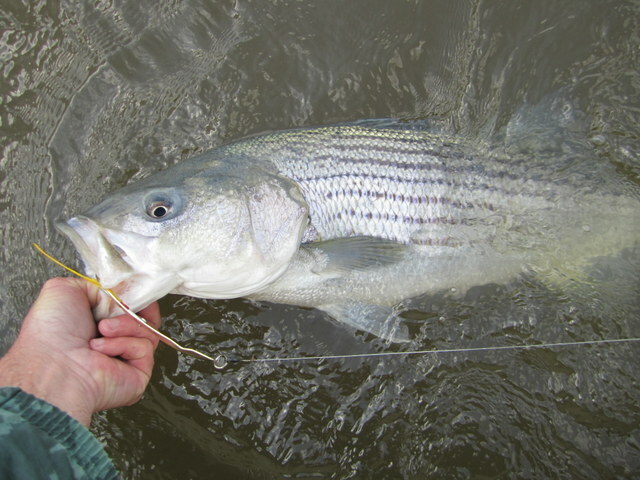 There are some really nice fish around and I think things will pick up once the waters settle a bit. Home for Easter with the family and will be back at it bright and early Monday morning. Happy Easter everyone!